I woke up that morning and knew I was going to take a pregnancy test. I didn’t say anything to Tanner. I don’t know why. We had only been trying a few months, but each month the answer was no I had to go through a 24 hr mourning process…so I figured this month I wouldn’t say anything and we’d skip all the drama. But this month I was three days late. That hadn’t happened before. 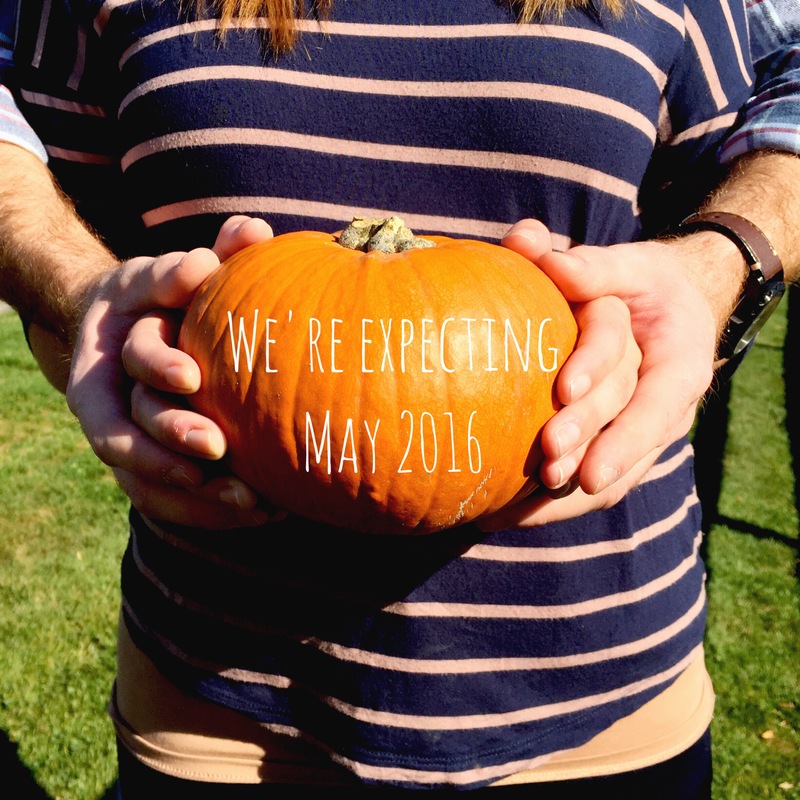 I just kept thinking ‘we’ll find out the natural way we’re not pregnant this month’…but that day never came. So I woke up that morning and knew, I needed to take a pregnancy test. So, I sent Tanner off to work like any normal day. Then I drank a huge glass of water…you know…to prepare…and took the test. A few minutes later one line appeared…and then under certain light…a very, very faint second line. I reread the instructions…they say there’s no such thing as being a little pregnant, if a line appears it means you’re pregnant. But I didn’t believe it. So I went out and bought a second test. One of those digital ones that require no line-interpretation. This time, the test just plainly stated it…. Tanner called. My mom called. I had to just pretend everything was normal and I wasn’t smiling from ear to ear. 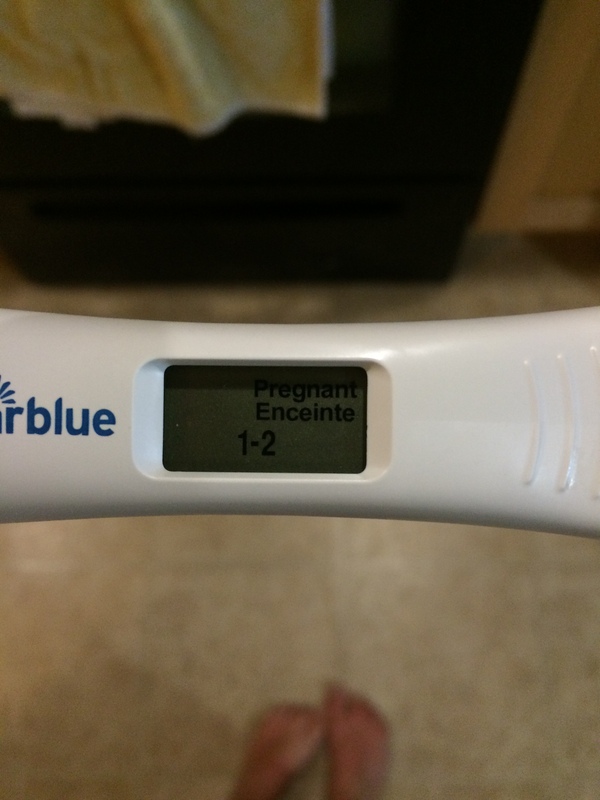 I checked the stick every 20 minutes…I was so worried a little ‘not’ would appear in front of the word pregnant…some sort of cruel malfunction. But it never did. So I went to the store. 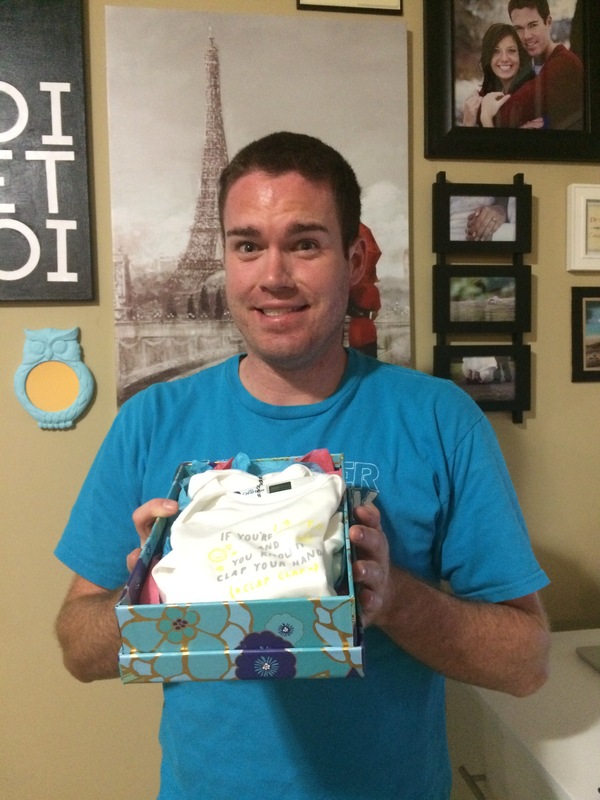 I looked at baby clothes…they were so tiny…yet so huge when I thought about how much our lives just changed. I found one that said ‘If you’re happy and you know clap your hands’. It was perfect. So I came home, wrapped it up with my little pee-stick, and counted the minutes till Tanner came home. We were eating dinner, and I told him ‘oh hey, I was at the store and got you a surprise’…you know like make a new pair of socks, or his favourite toothpaste, or something. Then I handed him the box. He opened it. I wish I had a picture of his face. He. was. so. happy. We hugged, we stood there and smiled like idiots…and then we didn’t really know what to do. So we went out for desert to celebrate. Then we came home. We talked about what’s next…doctor’s appointments, when to tell our families, cribs, diapers, a bigger car…how our whole world just turned upside down. But in the most happy, perfect way. We waited another month to tell our families…and another long 6 weeks to tell the world. But now our happy, little secret is out. We’re going to be parents.